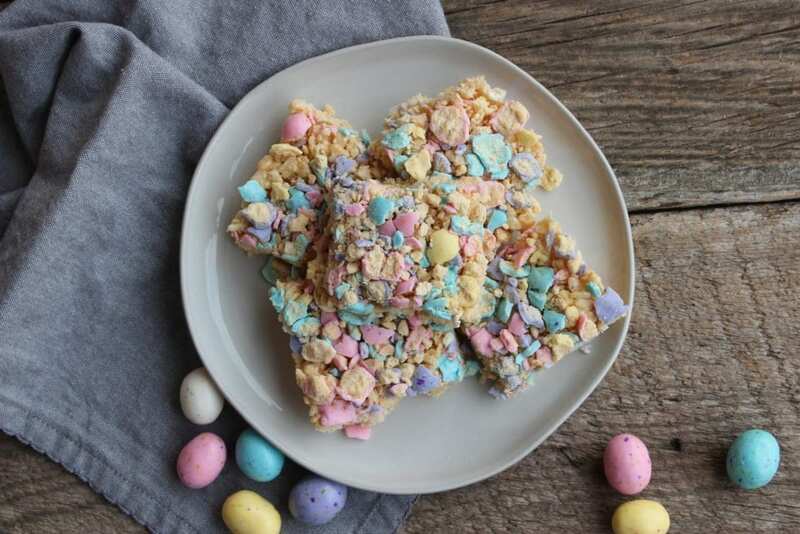 With Easter just around the corner and spring blooming all around us, I thought it was the perfect time to share these Easter Rice Krispies Squares! Easter is always such a busy, special time around our house. It’s easy to get caught in the hustle and bustle of the season (much like Christmas!). I like to make sure my little family all coordinate with our outfits so each year we buy a new Sunday best getup. This can take some time when you want the colors to be just so in order to get those just right photos! Oh, and let’s not forget the Easter basket! Each year I make a special Easter basket for my son that includes hand-picked toys and things that I know he will love. And of course we always have a huge, traditional, Easter dinner so there is cooking, baking, and prepping for all of that! Whew! I’m just tired thinking about it! With all of that being said, I found myself scattered, frazzled, and in need of a fast and easy Easter dessert. 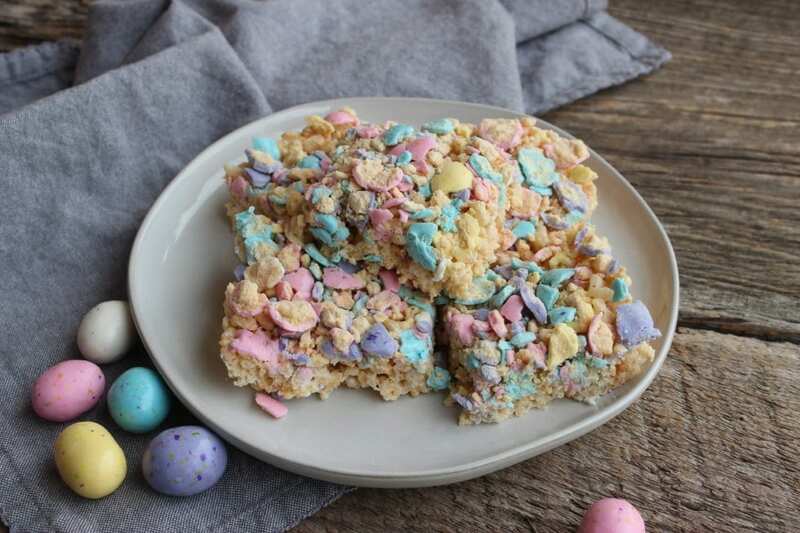 I had run out of time to bake anything fancy or spend hours in the kitchen, so these Easter Rice Krispies Squares saved my day, and I have a feeling they will be saving someone else’s day this year too! 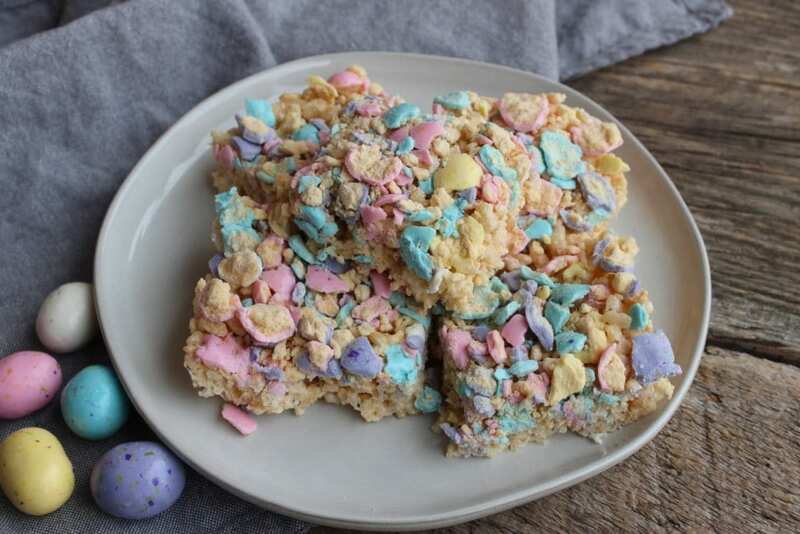 The one thing I love so much about these Easy Rice Krispies is that they are perfect for spring time in general, and not just Easter. These would make an adorable little treat for a spring themed baby shower or birthday party. Oh, and did I tell you they are made and ready to eat in only eight minutes?! Yep! That’s right! 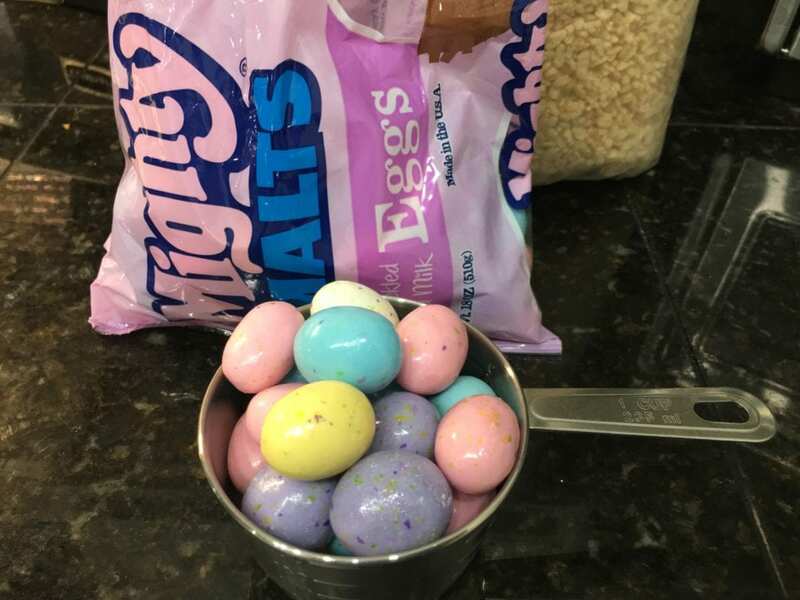 Before you start melting your marshmallows and butter, grab a bag of Mighty Malts Malted Milk Eggs (you can find these in any major grocery store chain, down the Easter candy aisle) and measure out one cup of the Malted Milk Eggs. 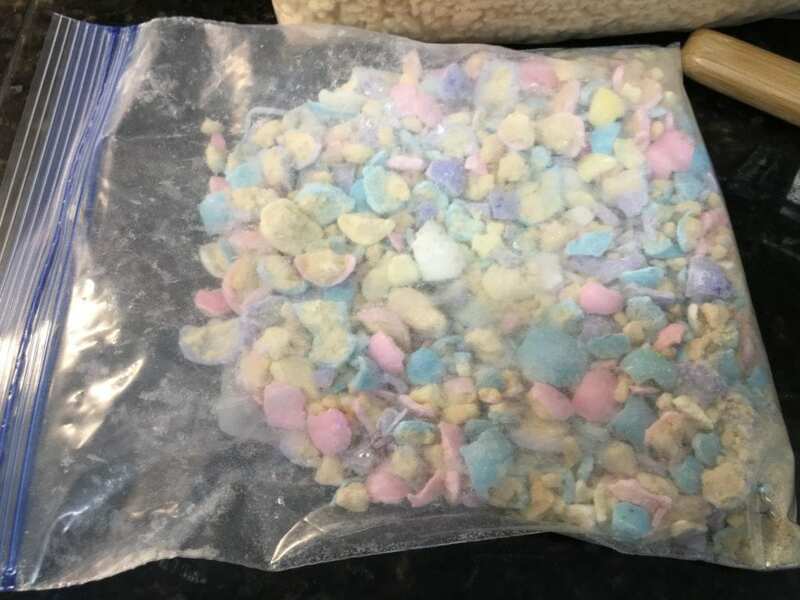 Place the Malted Milk Eggs in a sandwich size freezer ziploc bag and seal the bag, making sure to squeeze out all of the air. 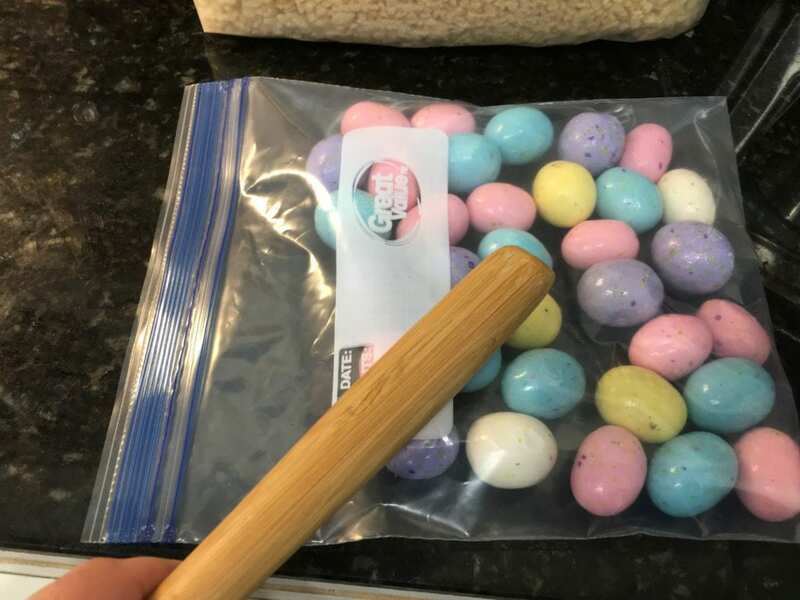 Once the air is removed, place the bag on a flat, hard surface and use the wooden end of a spatula or the handle of a butter knife to crush the eggs. You don’t want to pulverize them but you want them in small pieces. Once you’re finished smashing the Malted Milk Eggs, they should look like this. This would be a great task to give to your children, they would have the time of their lives getting to crush all of the Malted Milk Eggs! haha! I gotta say, it’s also a great way to work out any frustration or stress you may be feeling. haha! 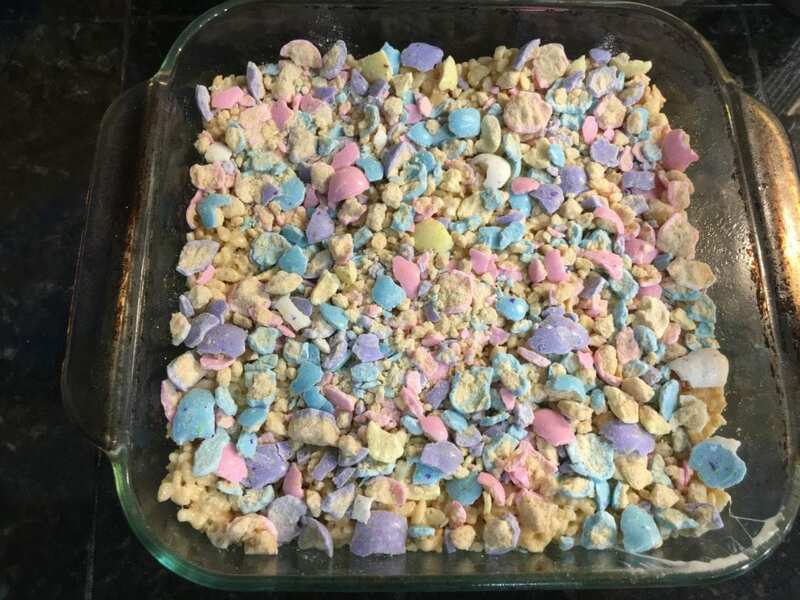 Now that our topping is ready to go, let’s go ahead and get started making these Easter Rice Krispies. 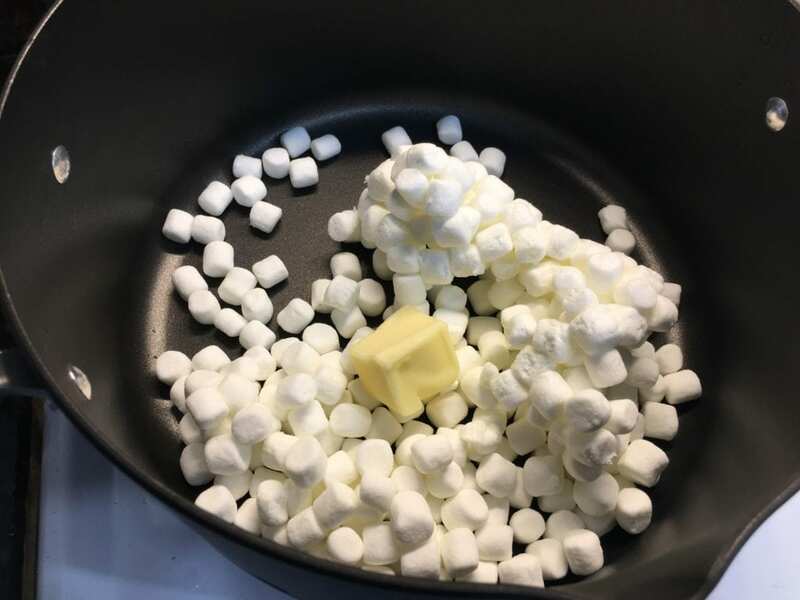 I added five ounces of miniature marshmallows and 1 1/2 tablespoons of butter to a large, pot on the stove and set my heat to medium. It’s important to stir the marshmallows and butter together continually while it melts, otherwise it will burn and stick in the pan. Grab a spatula and stir quickly during this cooking time! 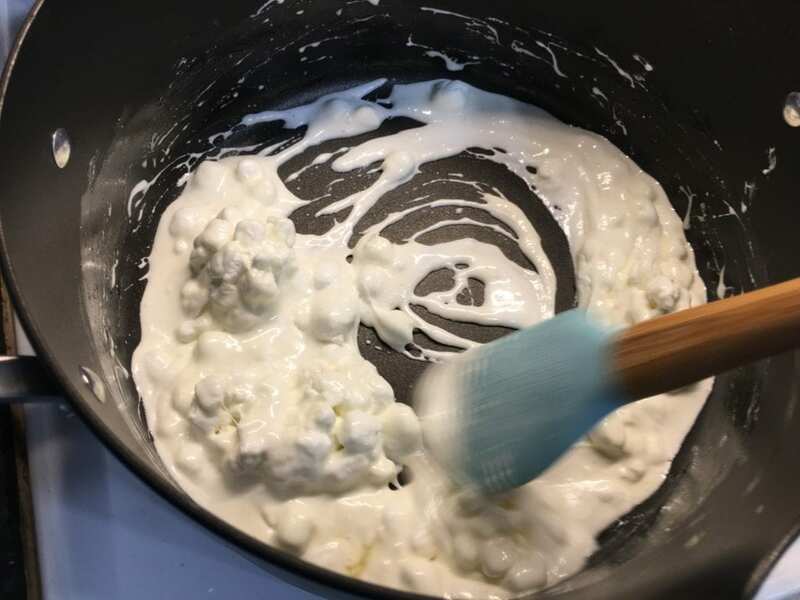 Once the marshmallows and butter are completely melted and liquefied in the pot, remove the pot from the heat and add in three cups of Rice Krispies Cereal and stir until the marshmallow mixture and Rice Krispies are evenly combined. Spray an 8×8 glass casserole dish with nonstick cooking spray and quickly pour the Rice Krispies into the pan. 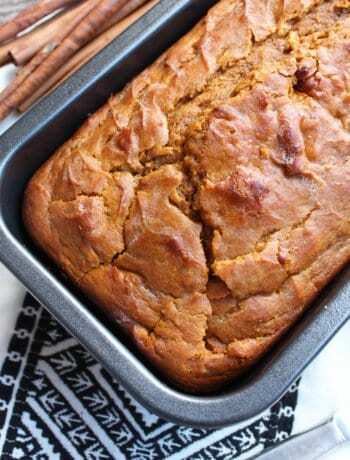 Use your spatula to smooth them in the pan so that you have one, even layer. 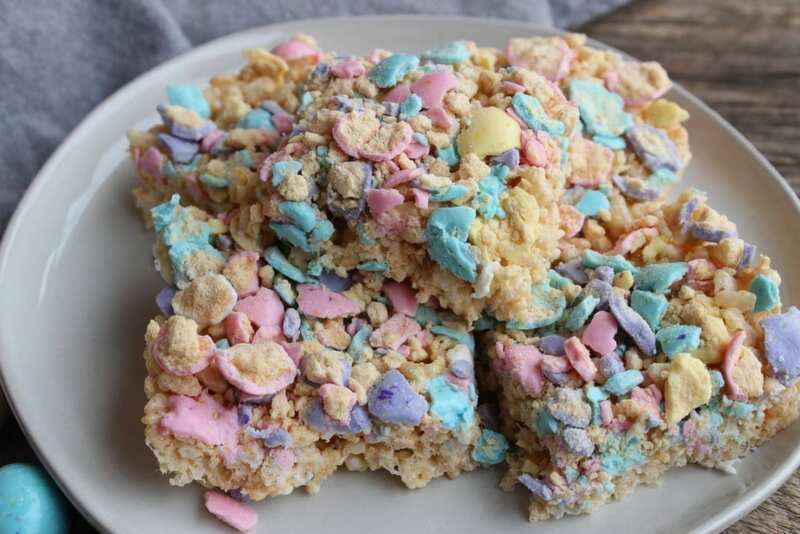 Once your Rice Krispies are spread evenly in the pan, pour your crushed Malted Milk Eggs over the top of the Easter Rice Krispies Squares and then use your hands to press the Malted Milk Eggs into the top of the Rice Krispies so that they stick to the melted marshmallows. 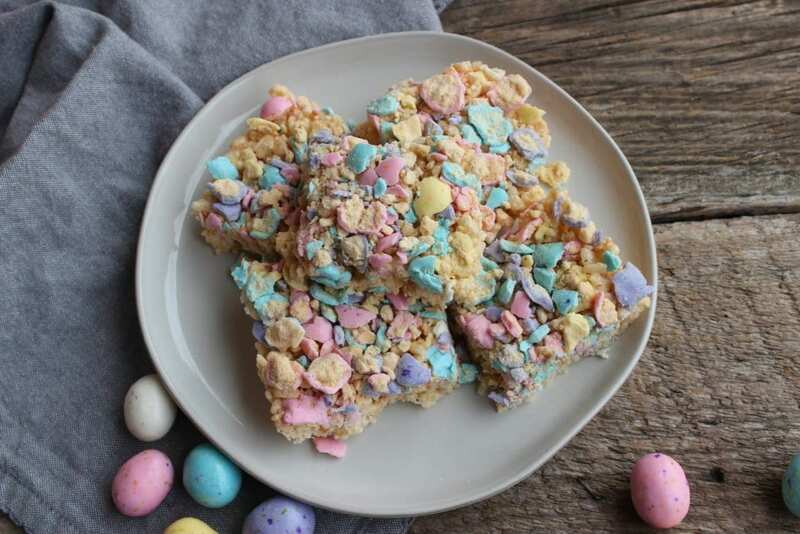 Once the Easter Rice Krispies have cooled completely, (you can speed up this process by placing the pan in the fridge), cut the Rice Krispie Treats into nine servings. If you want miniature Rice Krispies Squares, you can cut those nine squares into eighteen smaller ones. There you have it! 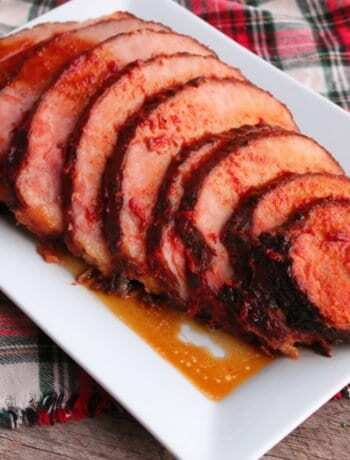 Your Easter treat is finished and ready to eat! I can guarantee you will have to keep your kids (and maybe even yourself!) out of these because they’re that good! I love fast and easy treats like these because not only do they save time in the kitchen, but it’s something your kids can help you make or even make themselves with supervision if they’re old enough. 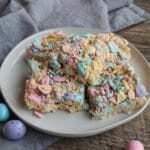 If you try my Easter Rice Krispies Squares, please share on Pinterest, Facebook, or Instagram and tag me, The Speedy Spatula! 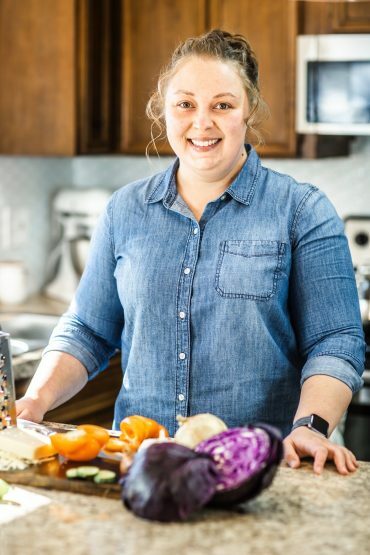 I would love to see what you all are cooking up in your kitchens this weekend! A fast and easy Easter treat recipe that is ready in just a few minutes! Spray an 8x8 glass casserole dish with nonstick cooking spray and set beside the stove. Measure out 1 cup of Mighty Malts and place in a freezer, Ziploc bag. Use the handle of a butter knife or the handle of a spatula and hit the bag with the Might Malts, crushing the Mighty Malts inside. Pour the marshmallows and the butter into a large stock pot and heat over medium heat over the stove, stirring continually. 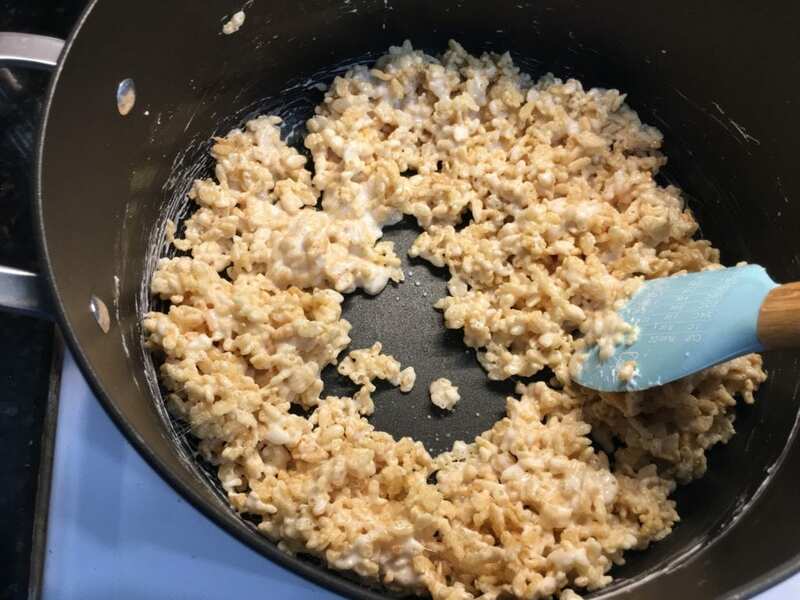 Once the marshmallows and butter is completely melted, remove from heat and quickly pour three cups of Rice Krispies Cereal into the pan. 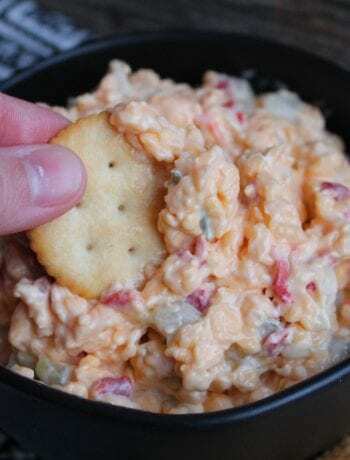 Stir until the ingredients are well combined and pour into the casserole dish. 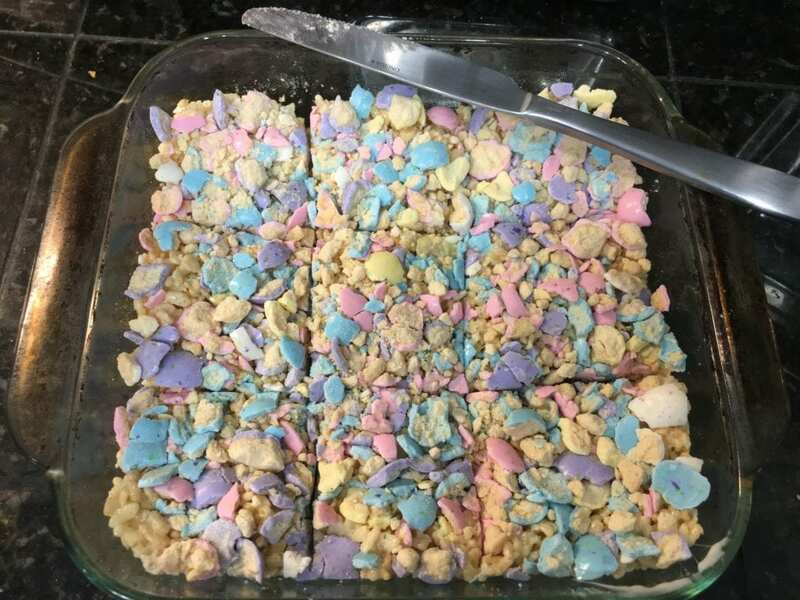 Use your spatula to spread the rice krispies flat into the pan and then sprinkle the top of the rice krispies with the crushed Mighty Malts Malted Milk Eggs. Press the crushed Mighty Malts into the rice Krispies and allow them to cool and set. 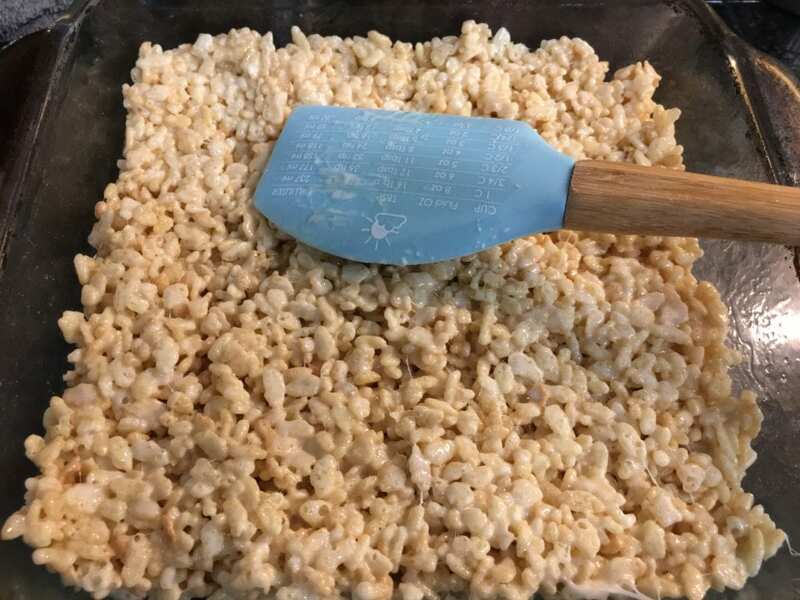 Once the casserole pan is cool to the touch, (you can put them in the fridge to speed up the process) cut the rice krispies into 9 squares and serve.